Cauliflower is pretty much a perfect vegetable. And topped with tahini sauce and date syrup, it becomes irresistible! To make the date syrup, pit the dates and soak them for 4 hours. Place them in the food processor along with the soaking water and puree until smooth. Preheat oven to 400. 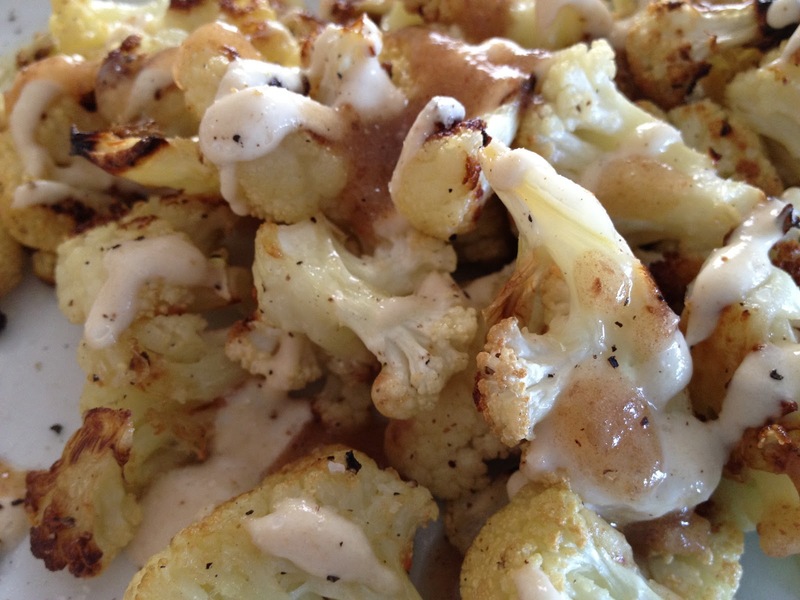 Break up the cauliflower and toss with olive oil, salt and pepper. Roast for 25 to 30 minutes or until browned. Make the tahini sauce by whisking together all of the ingredients. 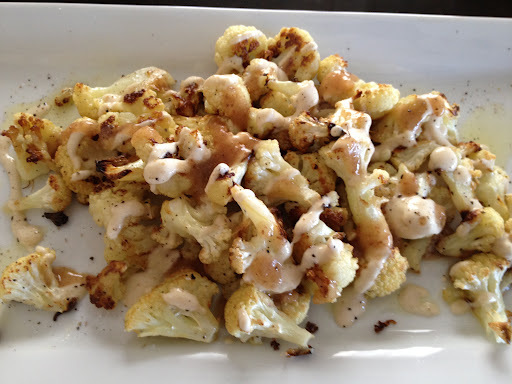 To serve, drizzle the cauliflower with as much tahini sauce and date syrup as you like. (There will be tahini sauce and date syrup left over.) Season with salt and fresh pepper. Enjoy!